SunPower is the industry leader in in solar technology. SunPower’s Equinox complete solar system is rated highest in efficiency, output, lifetime energy and have the best warranty in the industry. Compared to conventional solar panels, SunPower panels produce more energy per rated watt over 25 years. SunPower panels have efficiency ratings above 22%, producing more energy in the same space. SunPower is the largest residential installer based in the United States and is a publicly traded company on NASDAQ with over 30 years of industry leadership. SunPower Maxeon cell technology is fundamentally different than conventional solar cells. They are made from N-type silicon and have a durable solid metal foundation and back-side contact design. SunPower’s AC solar modules use a small inverter located on the back of the panel to make power available to your house. This means there’s no additional piece of hardware to mount in your home! If aesthetics are important to you, SunPower also offers an elegant all-black, low-profile look to your installation. Many people can’t even tell the difference between them and a skylight! SunPower’s Complete Confidence Warranty is 25 years for guaranteed production, workmanship and inverter. Plus, SunPower will pay for labor if there’s any reason to service the system! 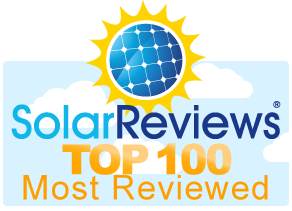 SunPower scored #1 on the solar industry’s top sustainability scorecard.